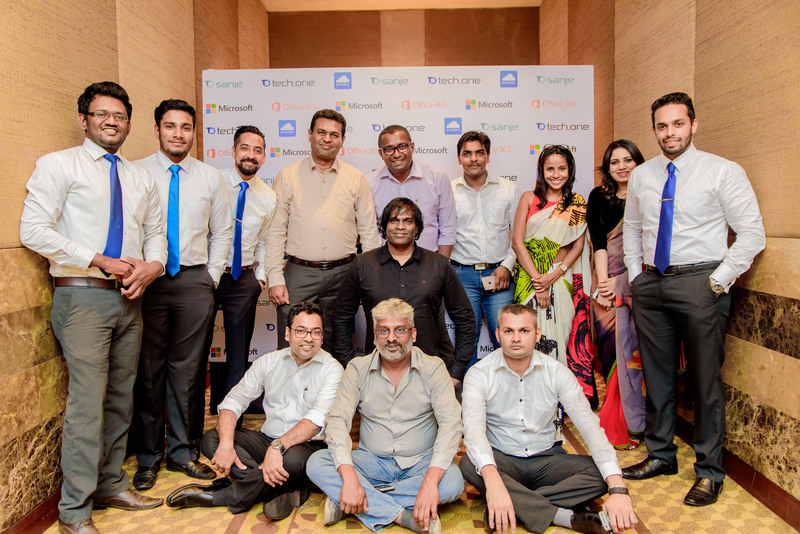 29th March, 2017 — Tech One Sanje in collaboration with Microsoft conducted an awareness program to promote digital transformation for the SMB Customers at Ramada Colombo. It was a very interactive session which helped senior Managers, decision makers, and IT Managers from different companies to understand how to improve productivity and efficiency using Azure, Office 365, Enadoc, and Power BI. With 140 participants, the event became a success. It surfaced concepts about the modern day digital transformation and its many forms of disruptions. Business infrastructure, operations, logistics; no industry was left out of the engaging discussions. Mr. Imran Vilcassin from Microsoft Sri Lanka gave an interactive speech on what is transformation and how business could be benefited by digital transformation on Microsoft cloud. In a mobile first, cloud first world, Microsoft is aiming for more connectivity and the potential of harnessing big data. The event is another huge step toward realizing a vision of a connected world where every economic process results into data for new innovations — a full 4th industrial revolution. After the session, there was a social gathering which helped the customers to have a friendly interaction with managers, technology specialists, and sales persons to create a strong foundation in terms of customer relationship. Many customers got a chance to clear their doubts regarding the products featured and are now well-armed to face the digital disruptions of today’s industries. As a pioneer of Digital Transformation, Tech One Global in partnership with Microsoft is looking forward for more opportunities to spread the ideas and concepts of a revolutionized business with digital transformation.